A garden or a green landscape is exactly the place where you spend some very quality time along with your family members or your pals. You enjoy the cool breeze in summer and a sun bath in the winter season. A garden is anticipated as best place with the health point of view. 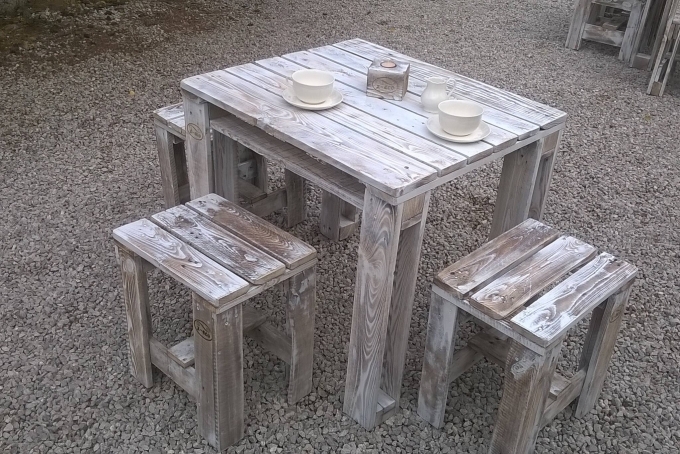 So let’s have some pretty raw furniture to enjoy it sitting in this most natural space of your premises. 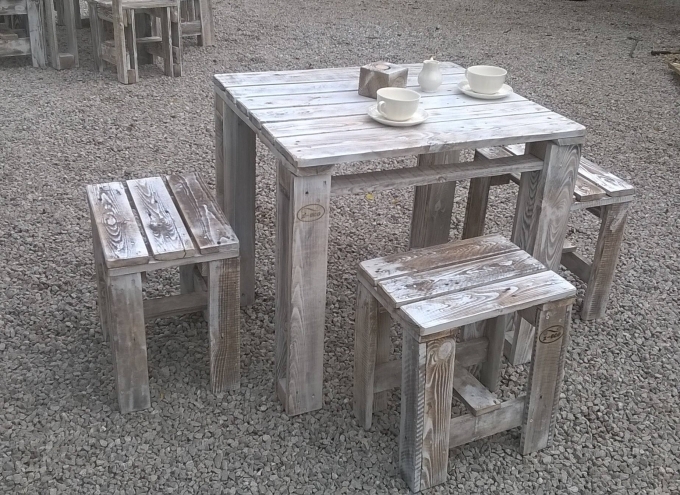 We are going to discuss the feasibility of making a garden furniture all recycled with the wooden pallet. If you are truly a nature loving person then certainly you would love the things in their most raw form. So is going to be this garden furniture set. We have had plenty of garden furniture projects in our website. Some of them were very well stained and varnished and having a perfect finishing they were a perfect substitute of a market based expensive furniture. But the garden furniture set that we are going to recycle today with the wooden pallet is going to be in its pretty raw form. Their color is going to stay rustic, they are going to be left unstained, just a minor sanding could be done to make their texture smooth. Look at this pretty simple center table along with three simple sitting stools. Their entire structure shows a demonstration of recycling pallet wood primarily and nothing else as the basic material. 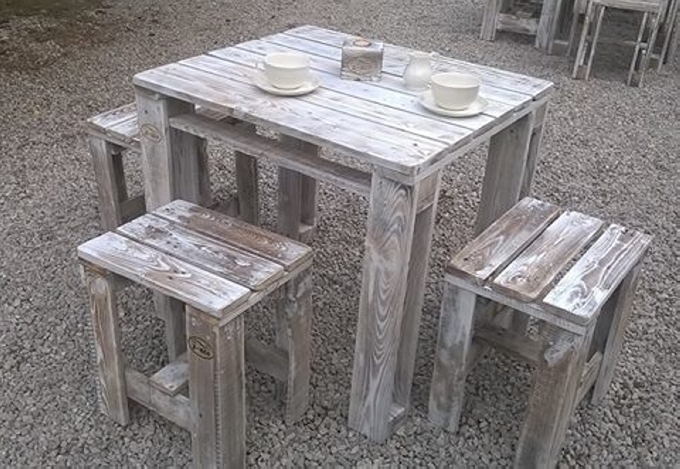 Just some fine pallet planks are cut to size and shaped as a basic pretty raw garden furniture set. This project is pretty appropriate for the beginners also as no special techniques or tools are used in making this pallet wood garden furniture set. Use it as a rough sitting set whenever you feel like having a cup of coffee sitting in the garden or a chatter with your small kids.